Cash premiums for resale HDB flats have risen again after a dip in the last two quarters. This reverses the trend of falling cash over valuations (COVs) -- the amount a buyer must pay over and above the valuation of a HDB resale flat -- after the government introduced measures to cool the housing market last year and early this year. The Sunday Times (ST) reported data from real estate agencies show median premiums, or COV, paid in from April to June was at about $30,000, almost 50 percent higher than the $21,ooo median COV registered for the first quarter. The COV is now close to the official record of $30,000 logged in the third quarter of 2010. The figures were obtained from three of Singapore's biggest property agencies, PropNex, ERA Asia-PAcific and the Dennis Wee Group. They account for about two-thirds of HDB resale market sales. Smaller agencies also told the paper their data show an increase of median COV to about $30,000. These figures, however, could be sightly higher than HDB's because their sales data is captured at an earlier point of the buying process, that is, when a buyer exercises his option to purchase a home. HDB is expected to release flash estimates for the second quarter this week. Data shows the median COV rising across most estates, with the biggest increases in popular areas such as Bishan, Central and Queenstown, reported ST.
PropNex figures, for instance, show the median COV for all flat types hit $55,000 in Central, $54,000 in Queenstown and $35,000 in Bishan. HDB official figures place the COVs of these towns at $27,000, $23,000 and $29,5000, respectively, in the first quarter. Property analysts told the paper the resurgence of COV is a result of increased buying interest in this quarter and is also reflected in the rising median resale flat prices. 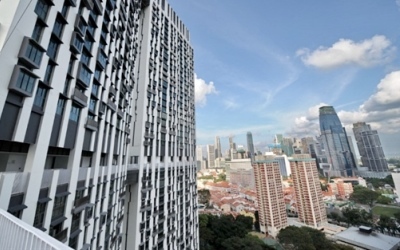 C&H Properties key executive officer Albert Lu said buyers adopted a wait-and-see attitude for about two quarters after cooling measures were introduced last August, which was why COV dropped in the last quarter of 2010 and first quarter of this year. "'When these buyers realised that HDB prices are not dropping any more, but are in fact increasing, they started rushing out to buy. This is what we call 'pent-up demand'. As a result, prices and COVs started rising again in the second quarter," he said. Even though valuations are catching up with prices, COVs are still rising because demand remains strong as home buyers are priced out of the private property market and the supply of HDB resale flats is shrinking because of recent rule changes, they added. The data also shows that sales volume has dropped sharply from May to June, said the paper. DWG saw only 516 sales in June, down from 664 transactions in May, while PropNex's sales dropped to 142 this month from 434 in May. Some analysts term this the 'Khaw effect', pointing to the new National Development Minister's remarks since he took office. Market observers said developers, home buyers and investors are adopting a wait-and-see attitude as they await clearer signals from the ministry. Young buyers also seem to be holding back from buying resale after Minister Khaw said the HDB is looking to offer new flats in mature estates, said agents.